On January 24th - 26th MAMA students presented the results of their group projects in a unique framework. 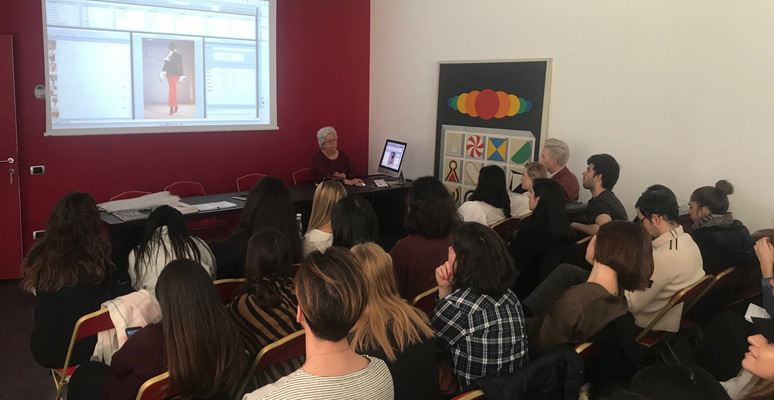 In the magnificent Palazzo Zorzi, UNESCO office in Venice, Jonathan Baker, Head of Science Unit, listened to MAMA students and expressed particular satisfaction and appreciation for the results and analysis presented. The students focused on different UNESCO-protected sites (Cremona, Mantova, Verona and Venice itself) and presented their management plan analysis. 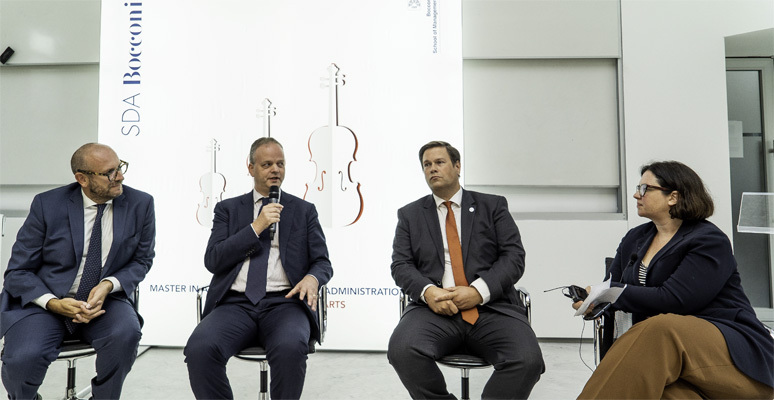 During the Mama Grand Tour in Venice students also had the chance to meet some major arts institutions like Biennale, dialoguing with its President Paolo Baratta on the most important issues the cultural institution is facing in these days and focusing on the coming edition of Biennale Arte. 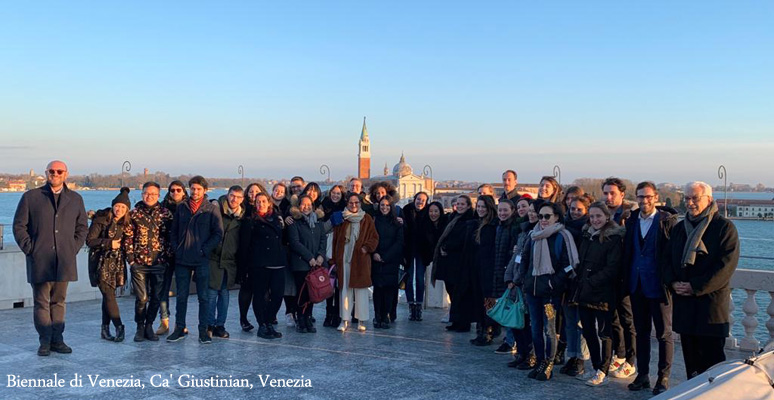 Then the class visited MUVE, Fondazione Musei Civici di Venezia (Palazzo Ducale), Teatro La Fenice, where they attended the premiere of "Werther" after a talk with the Superintedent Fortunato Ortombina, and visited the new venue of FAI - Fondo Ambiente Italiano, Casa Bortoli. "My contribution to the Master was intended to present the concept of management as intended within the framework of the World Heritage Convention (1972) and its operational documents. This was also the subject for the assignment I gave to the students, following my lecture on 12 December, consisting in the analysis of the management plans of some selected World Heritage properties in Italy. With their final presentations, the students showed remarkable analytical skills, combined with a very good understanding of the subject and the capacity to provide constructive comments. In conclusion, I believe my participation in MAMA was beneficial for both sides: it helped the students acquiring precious knowledge on the management of cultural heritage as approached by UNESCO, and it gave UNESCO an opportunity to build capacities of tomorrow’s World Heritage managers." 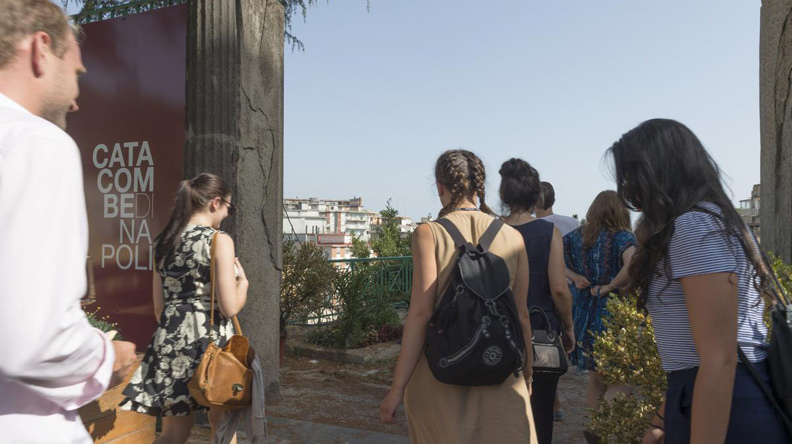 "Field trips are always stimulating, where we have the opportunity to meet and talk with great names of the Italian cultural scene. During the conversation with Paolo Baratta, President of Biennale di Venezia, it was interesting to understand his vision of art’s social function and the role of the Venice Biennale in the contemporary art scene. Baratta pointed out that visitors should be treated as people and not customers. The exhibitions are about exchanges between the art and the visitor, and their unique experience, where every visitor has the chance to be motivated and inspired by them. Learning from different points of view, perspectives and institutions makes the MAMA at SDA Bocconi a more diverse and dynamic program. Going beyond school walls give us practical skills, expanding the knowledge we learn in the classroom."